Samsung, a South Korean company always strive to introduce a revolutionary innovation each year. And, this year, it is Samsung Galaxy S9 that is giving a tough competition to other Android smartphones. Be its design, camera, processor, battery and overall performance, Samsung S9 has captivated the users. With its launch, it gave the hope to Android users to grab more exciting features next year – Samsung S10. Samsung Galaxy S9, overcoming the flaws of its precedents, it is now up with the magnificent features. What else, it is bagging in the powerful frame, let us have a look at its in-depth specifications, features and price. Samsung Galaxy S9 released on March 11, 2018 will definitely going to please the buyers who are looking for an excellent device with cutting-edge technology. The reason being, iPhone X with nearly close features to Samsung S9 is expensive. But, nothing can dominate iOS lovers. With 64 GB storage, Samsung Galaxy S9 is available at online stores at $861/ €726/ Rs. 57,900, 128 GB at $920/ €769/ Rs. 61,900 and 256 GB at $1084/ €915 / Rs. 72,900. 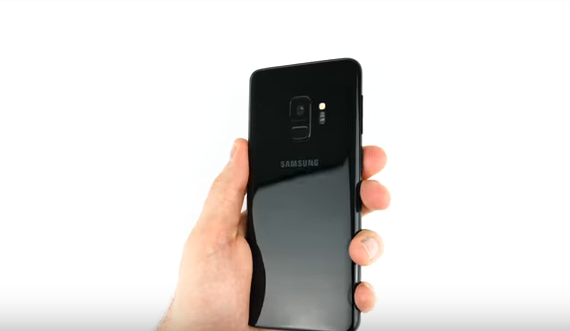 Curvy glass shape is something which Samsung has never dropped out. Although, its stunning looks always vary with each innovation. When compared to S8, Samsung Galaxy S9 hardly owns any difference in aspect of design. S9 is just a mm shorter, a bit thicker, and 0.5 mm wider, but it does not make a huge difference. When it comes to weight, S9 is 8 gm heavier than S8 which makes it 163 gm in weight. Yes! How can we forget that Samsung is the champ of introducing excellent glass design with each launch. And, this is why we have Galaxy S9 which is flourishing the glass rear and front with finest metal frame adding it a stunning look. The screen bezels are slimmer than ever and panels are bend which makes Galaxy a futuristic smartphone. Its AMOLED display of 5.8 Inches is stretched frame to frame. Keeping the ease of accessibility, Samsung Galaxy S9 followed S8 and offers pressure-sensitive Home Key right below the screen, while iris screen at the top has been hidden under the black glass. And, ofcourse, Samsung delivered the ace in class by using Gorilla Glass for front and rear panels. But, down the line, the frame is refined letting users to experience strong grip and secure handling. Some more convenience is added by enlarging the power key. Following its precedent; S8, Samsung Galaxy S9 has fingerprint scanner beneath the camera. However, heart-rate sensor and LED flash are fixed at a new spot. A good range of colors is something Samsung always had, and so with S9. Four astonishing colors including Coral Blue, Titanium Grey, Midnight Purple and Lilac Blue gives excellent choices. S9 has got another unnoticeable change within its speakers. One of them is fixed behind earpiece grill, while the other is at the bottom. Samsung’s AKG are by Harman speakers supported with Dolby Atmos. Infinity display – The dual curved 5.8 inches super AMOLED screen is giving the very fresh look to S9. However, other specifications are no different than S8. The panel has resolution of 2960 x 1440 pixels with 18.5:9 ratio. The blend of subpixels (blue and red) and proprietary display driver is commencing a Quad HD resolution, which is great. After all, Samsung relies and uses Diamond Pentile pixel combinations for its display unit. This ultimately delivers the factual resolution with excellent pixels. Moving onto brightness which can be manually altered can be achieved at 370 nits (lower than S8 and equal to S7) when maximum. But, auto setting can lift it up to 658 nits (higher than S8). When pushed at minimum, it counts 2.8 nits. And, when performing in sunlight, Samsung has always ruled. With varied Gamut specifications, Galaxy S9 owns four optional screen modes. Its AMOLED video and photos are above excellent which makes it the best Samsung smartphone ever, in aspect of display standard. Believe it or not, it lets user to experience quality equivalent to digital camera, laptop, TV and other similar units. Also, its color accuracy is more than perfect. One of the unbeatable fact about display is, Adaptive display. It adjusts the setting automatically by detecting the content type on the screen. Be it outdoor or indoor, Galaxy S9 showcase flawless pictures and video content. Single camera with 12 MP at the rear of Samsung Galaxy S9 is bestowing some exciting features. The combination of dual-pixel autofocus, OIS and image stacking support is making it outstanding. 4-frame noise reduction which makes 30% less noise than S8, makes S9 much better. And, yes, the aperture makes it more distinguishable as it allow user to opt for f/1.5 for bright and f/2.4 for dark surroundings. However, switching to ‘Auto’ mode will not let user to notice the aperture shift, while switching to ‘Pro’ will give the user enhanced granular control. Modulating white balance and exposure, Samsung 9 gives leverage to the user to tune between both the apertures. To visually check the transmission of lens, look closer to it while flicking between the apertures. When it is about capturing multiple shots or moving objects, S9 camera is great. Also, zoom capability of camera does not let the picture to distort. The baseline is, Samsung Galaxy S9 camera is enough capable to deliver detailed photos without impacting on colors, contrast and pixels. This is because, Samsung process each of its clicked picture making it pleasant. Another feature of Galaxy S9 which adds it a bonus one is, slo-mo video recording. The device can shoot a footage of 0.2 secs at 960 fps which can be converted to a 6 secs clip. It is doing a great job with scenic motions like water fall, etc. A perfect slo-mo video can be captured with a combination of good light and 720 p.
Following the S8 series, the front camera is 8 MP with f/1.7 aperture, auto HDR and variable focus ability. It can select the mode on its own as per the surroundings. The concept of AR Emoji by Samsung Galaxy S9 is somewhat similar to that of Apple’s Animoji in iPhone X. But, S9 creates the identical animated picture which can be edited as per the preference. Once emoji is created, it will reflect the exact expressions as that of the user. While Apple’s Animoji works with animal emoji(s). A small lagging factor of S9 is that it does not owns the secondary telephoto lens. However, its selective focus mode which is software based has been introduced to add faux bokeh effects. Also, the picture may get slightly blur, in case of widened aperture. With no gigantic changes, Samsung Galaxy S9 software has a little enhancements when compared to S8. The device is undoubtedly sleek which showcase amazing icons. Delivering the seamless movement between notifications panel and apps, it makes S9 an amazing Android smartphone. The two browsers, email clients, galleries and app stores are the big issue. However, some of the duplicate apps can be hidden or disable, but not all. 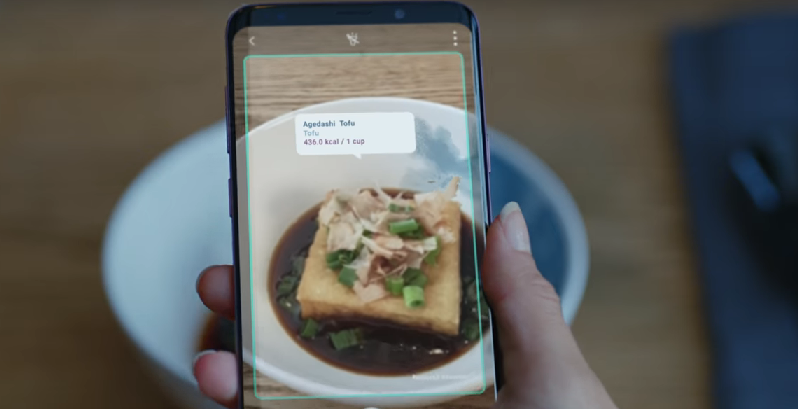 For in instance, virtual assistance by Samsung – Bixby can be turned off, but its launch button cannot be reused for other function. Bixby has another fail; when it is operated for remote taxing, it does not perform well. And, sometimes it does not even respond to basic questions. However, it is expected that Bixby 2.0 will improve the things. Its night reading mode and extension support are serving the best. And, when it is about customization, Samsung software does not disappoint. As an example, a user can vary the resolution and performance of the display to extend the battery life. Also, its battery saver mode is best of all when compared to other competitor smartphones. Keeping security in mind, Samsung has introduced a good range of options for its users. With duplicate messaging apps, the private files and folders can be secured. Another outstanding features of Samsung will mesmerize its users – Health App. A heart-rate sensor placed at the back of the device lets the user to keep track of the heart rate, blood oxygen levels and associated parameters. The app has ability to maintain the log of consumed food by clicking the pictures. Galaxy S9 software has also introduced device unlocking with fingerprint scanner as well as ‘Intelligent Scanner’ – Iris and facial scanning. Without creating any fuss, Samsung Galaxy S9 performance can be marked ace class. Galaxy S9 is definitely justifying its cost. Simply, Galaxy S9 holds the value for money. Depending upon the region, Samsung has delivered S9 with two excellent processors – Exynos 9810 and Snapdragon 845. However, any of the processors is not performing bad. Speed is well enhanced for GPU and CPU, alongside facial recognition and 960 fps slo-mo video recording performance has been revamped. With chip of 4 GB RAM, it offers the best processing. S9 processor is serving the utmost to the apps performance. Without any loopholes, the app performs well with S9. Without much difference between S9 and S8, apps can be accessed swiftly. Also, the game apps do not have any issues or dropped frames. Also, the power-intensive titles of Google play performs perfectly. Overcoming the speakers quality of S8, Galaxy S9 has got a better version. The audio offers the support of Dolby Atmos while the tuning has been done by AKG, thus giving the immersive experience. This is made possible with software quality enhancement. If the audio quality is rated, it gets optimum rating. Enabling the mode from quick-settings, a boost in the volume can be attained. However, it may get a little distortion at high volume. But, sound quality performs very well while playing the video. In contrast to similar devices, call quality is outstanding. Samsung Galaxy S9 delivers the strongest signals, be it 4G or Wi-Fi. It supports Bluetooth 5 and 1 Gbps LTE download speed (if available). Samsung Galaxy S9 battery is 3,000 mAh which is no different than Galaxy S9. And, this capacity is good enough for a ideal usage. Supporting the fast charging, S9 can be charged 40%-50% within half an hour, while it takes an hour and half (approx.) to get completely charge. On an average, it can perform for 15 hours while streaming the videos and 10 hours for internet surfing over Wi-Fi. However, it works for 24 hours approx. for voice calls. Ultimately, the overall battery performance is good and performs for 78 hours at standby mode. Samsung Galaxy S9, undoubtedly, has all the elements and parameters that makes it an ideal Android smartphone. Ranging from good camera to amazing screen, stunning design to excellent features, S9 bags it all, what a smartphone should have. With all the extensive features, Samsung Galaxy S9 can be expected to become the best-seller of the year. Those who are willing to upgrade or change their device must definitely give a thought to buy Samsung Galaxy S9. And, those who are not a fan of big screens, Galaxy S9 makes a perfect fit. Previous OnePlus 6 – Do Rumored Specs, Price and Features Makes It Worth Waiting?